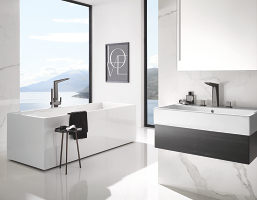 Crisp planes, intriguing angles and cut-out details, Allure Brilliant illustrates the absolute precision that can only be achieved through years of experience and an unfaltering passion for innovation. 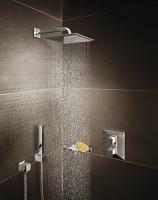 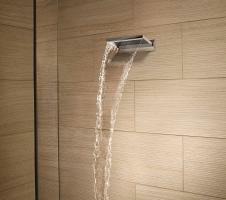 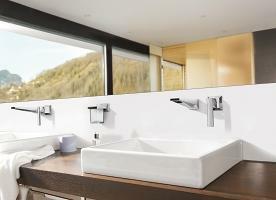 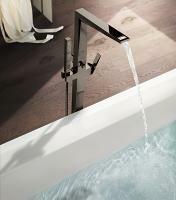 Complex without being complicated, faceted faucets add a new dimension to bathroom design, and a new dimension to water. 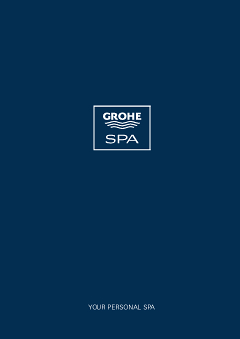 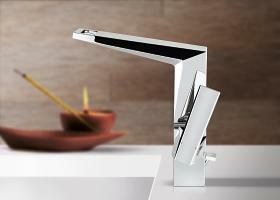 With its gem-like quality and structured shape Allure Brilliant exudes architectural appeal. 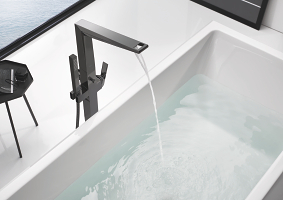 Our designers and engineers have taken on the roles of lapidaries, refining and polishing with utmost care to create a collection of intriguing designs, which will challenge your perception of bathroom fittings. 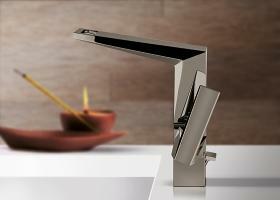 Inside and out, Allure Brilliant pushes the boundaries. 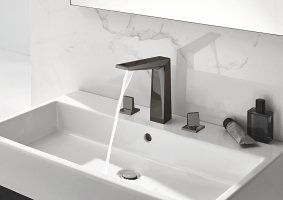 With their confident and precise use of geometric shapes, Allure Brilliant explore the pure, linear appeal of minimalist architecture to create a striking and alluring portfolio of faucets, showers and fittings. 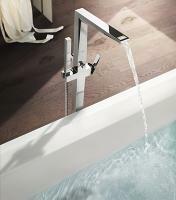 Starting with the simplicity of a square or rectangle, the Allure Brilliant Collection utilises geometric forms to their full potential and takes faucets in a new direction with its clean angular lines and flat planes, An aperture at the end of the spout gives a new view of water – a cascading flow that entices and teases every time.